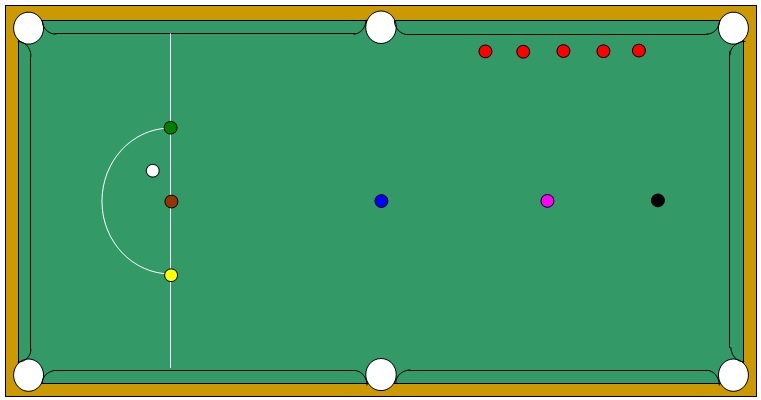 As shown, tightly space five reds below the pink so they are in line with the top corner pocket. Playing the cue-ball from behind the baulk line each time, try to pot each red bringing the cue-ball back behind the baulk line. Award a point when either the red is potted or the cue-ball comes back to rest behind the baulk line. (For shot to count no reds must come into the baulk half of the table). Note score then repeat challenge putting reds on other side of the table. As shown, spot the colours then evenly line five reds a balls width from a top side cushion. 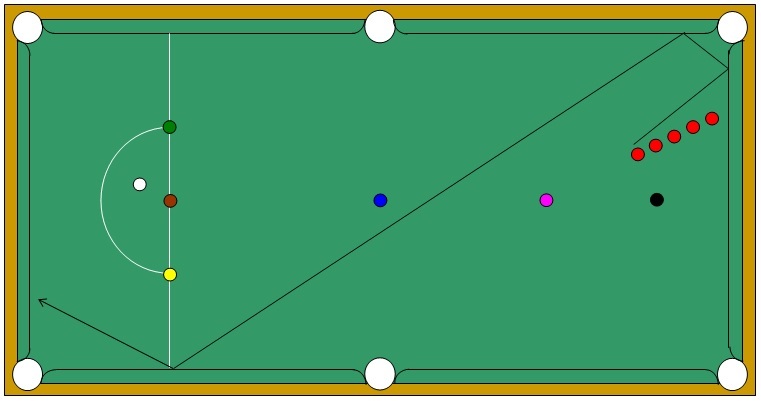 With the cue-ball played from behind the baulk line each time, cross double each red, bringing the cue-ball back to rest behind the baulk line. Repeat putting the five reds on the other side of the table. Award a point each time some part of the cue ball comes back to rest behind the baulk line. (For shot to count no reds must come into the baulk half of the table). Note score then repeat challenge by putting reds on other side of the table. As shown, evenly line five reds on a diagonal below the pink. 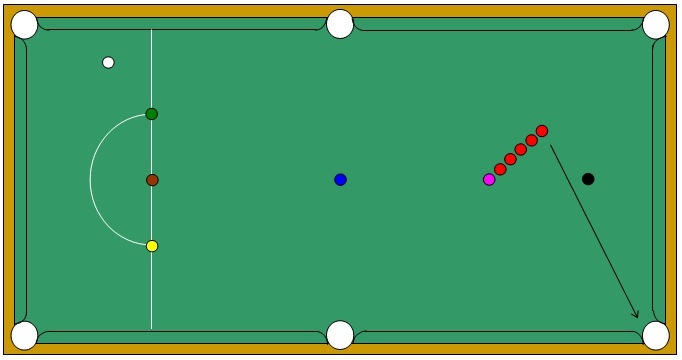 Starting with the nearest red and the cue ball played from the D, use side to bring the cue ball inside the blue back to baulk.